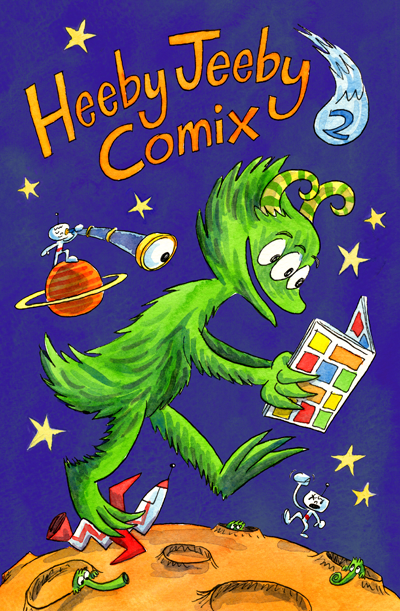 We just completed the final book layout for our second print issue, Heeby Jeeby Comix #2! It's off to the printer at this very moment, so we're looking at a release some time in March. Stayed tuned for the official date. Above is Dan Moynihan's cover art for the book! Oh man, I can't wait! Congrats on finishing another issue guys! Issue #1 was amazing, so I''m totally looking forward to the new ish! Voilà une bien bonne nouvelle ! On attend ça avec impatience !